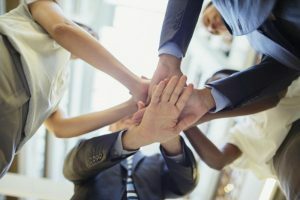 Oracle and SUSE have a long history of collaboration as technology partners, resulting in an outstanding experience, including improved efficiency, increased performance and security, and higher availability for clients who choose the combination of Oracle products running on SUSE Linux Enterprise Server (SLES). Hundreds of Oracle applications run on SLES across several product families. This blog highlights recent certifications on SLES 15 and SLES 12. Oracle Database 12c (12.2.0.1.0) is certified on SLES 15 on x86-64 platforms, after successful completion of Oracle’s extensive certification requirements. Oracle Database 18c is available on SLES 12, and certification testing with 18c on SLES 15 is in progress. For IBM Z mainframe systems, Oracle Database 18c is certified with SLES 12. With Oracle E-Business Suite 12.2.8 certified on SLES 12, clients can choose from over 100 of the latest applications in the E-Business Suite to enable their organization to make better decisions, reduce costs, and increase performance. Applications for human capital management, benefits support and analysis, pricing, asset management, financials, manufacturing, inventory management, procurement, and warehouse management are just a sampling of the many E-Business Suite solutions available on SLES. Oracle Fusion Middleware 12cR2 products are certified on SLES 12. These include Oracle WebLogic Server, Oracle’s Identity Management products, Oracle Forms, Oracle’s SOA products, Oracle Business Intelligence, and many more. Some of the Fusion Middleware products, such as WebLogic Server and GoldenGate and GoldenGate for Big Data, are also available with SLES 12 on IBM Z mainframe servers. For Java based application requirements, Oracle JDK 8 (64 bit only), is certified with SLES 15. Newer JDK features are available on SLES 15 via OpenJDK 11. Arun Singh, lead SUSE engineer for our partnership with Oracle will be presenting at SUSECON. To learn more about our combined best-in-class offerings, be sure to attend his session: Oracle Products on SUSE Linux Enterprise Server 15 [TUT1028], at SUSECON in Nashville, on April 2. 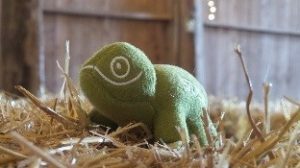 For any questions about Oracle and SUSE combined solutions, general partner inquiries or to obtain more information about joining SUSE’s partner program, please send a note to isv@suse.com. According to Oracle’s Certification Matrix at Oracle Support, the Oracle Client 12.2 is not certified on SLES 15. When are both the database and client to be listed as certified on SLES 15? Hi Ian, thanks for your post regarding Oracle Database Client 12.2 support with SLES 15. We checked on this with the Oracle team, and they were wrapping up the client certification with SLES 15, and just finished. If you check the Oracle certification pages on Oracle support now, you should see SLES 15 listed as certified.